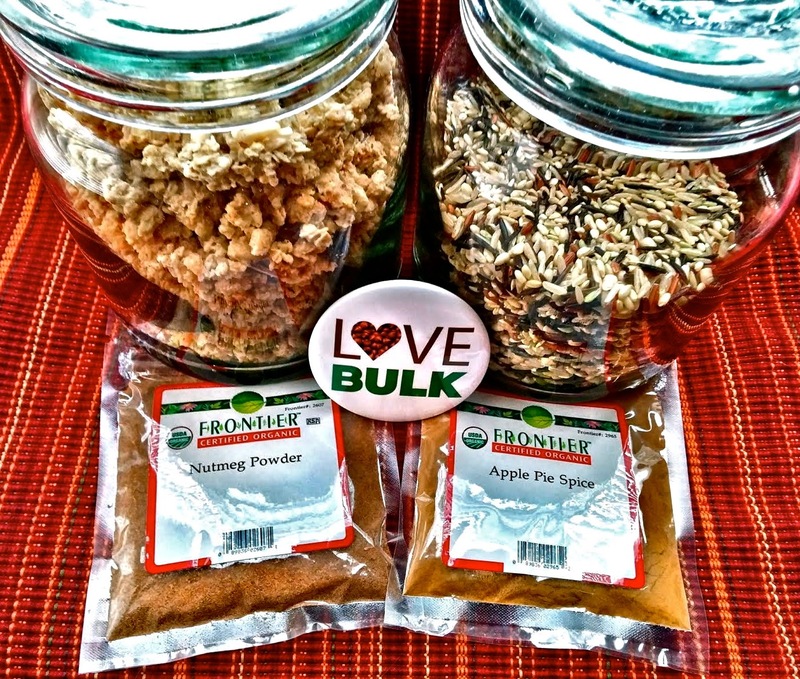 The Weekend Gourmet: Take the BIG Council's Pledge to Love Bulk Foods! Take the BIG Council's Pledge to Love Bulk Foods! Did you know that a simple change like purchasing your breakfast oatmeal from the grocer’s bulk bins saves 5x the waste of its packaged equivalent? That was a very surprising statistic to me, and so easy to do! To celebrate Earth Month this month, Bulk is Green (BIG) is challenging Americans to take the pledge to Love Bulk Foods. BIG is a non-profit organization dedicated to helping consumers, food manufacturers, and grocers learn about the many positive environmental and economic benefits of buying bulk. I was very excited to be asked to take part in this this project! I use bulk food items in my kitchen every week, and I hope you do too. To be specific, bulk foods are foods found in the bulk bins of your local grocery store. I haven’t always been a bulk-bin shopper, but I’ve really become a “bulk believer” the past few years. By visiting the BIG website, you can take the pledge yourself and be entered to win a fabulous gift basket containing everything you need to create a kitchen pantry filled with eco-friendly bulk foods. BIG will give away one prize pack each week in April. Prize packs contain glass storage jars and a starter kit of popular popular bulk items from SunRidge Farms, spices from Frontier Natual Products Co-Op, Lundberg Family Farms, and several other prominent bulk brands. I recently received one of these starter kits from BIG, so I can vouch that it’s a fabulous prize! I received Lundberg rice, two flavors of granola, Frontier spices, and a duo of pretty glass storage jars that look great on my kitchen counter. If you’re wondering why you should take the BIG pledge to love bulk foods, let me share a few reasons. First off, buying bulk is good for the environment. Buying bulk prevents unnecessary packaging waste from ending up in already-crowded landfills. The following infographic perfectly illustrates the significant environmental impact of buying bulk when you shop for groceries. The best part is that even small changes in your grocery shopping habits can have a large cumulative effect! my grains in the bulk section. Disclosure: I received an I Love Bulk gift pack to facilitate this post. All opinions about bulk shopping are my own.